Besides PlayHugeLottos, Secure View Services Limited also owns PlayUSALotteries, Lotto247 and other websites. 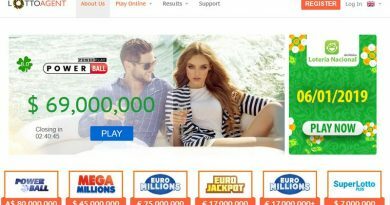 If you are interested to play the major lottery games in the world, you can certainly consider using their lottery services. 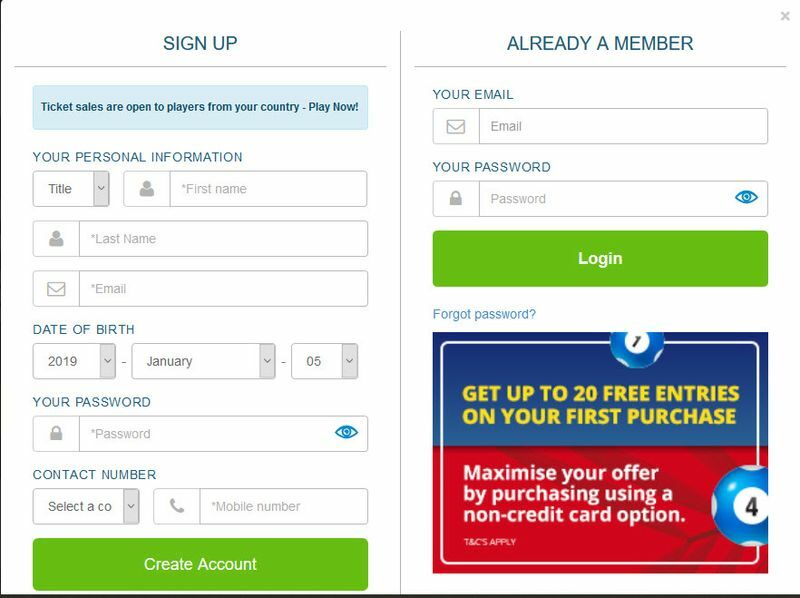 We signed up for an account with PlayHugeLottos and comprehensively reviewed their lottery concierge service. 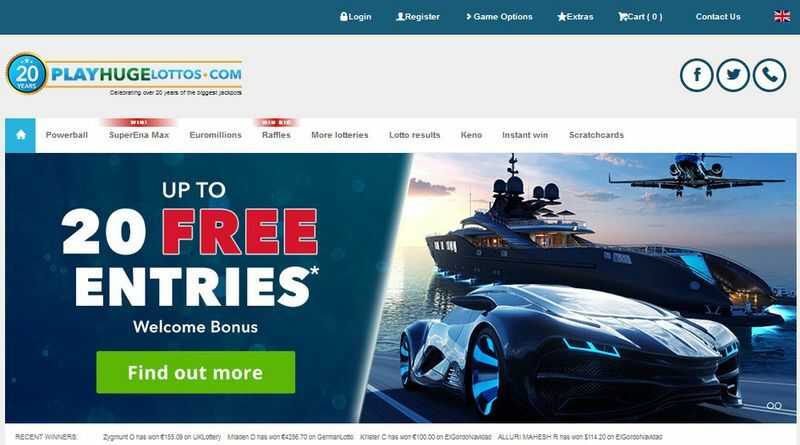 PlayHugeLottos allows you to play 15 major lottery games in the world, including Powerball and EuroMillions, and their website is available in 9 languages. Signing up for an account requires you to provide your name, email, phone & date of birth. No email verification is needed and you can proceed to deposit funds into your account via credit cards, bank transfer, EntroPay and Pay Now. 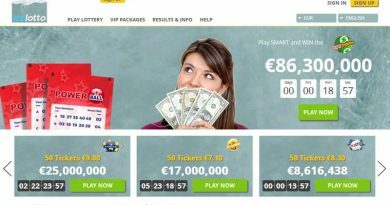 To play any of the available lotteries, you simply need to select the lottery game and your numbers. 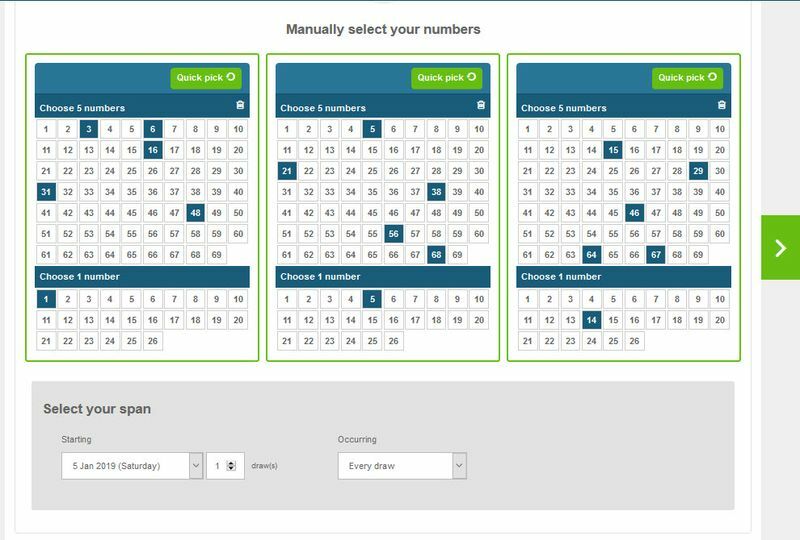 Alternatively, you can also click the “Quick pick” button and the numbers will be randomly selected for you. PlayHugeLottos does not provide any scanned images of the lottery tickets purchased. A Powerball ticket costs $2 while PlayHugeLottos charges €4.80. 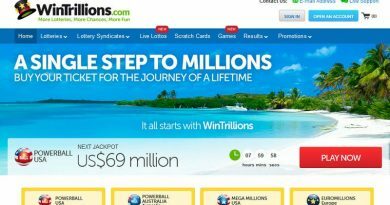 We also checked the cost of a EuroMillions ticket and the cost of an Australia Oz Lotto ticket. 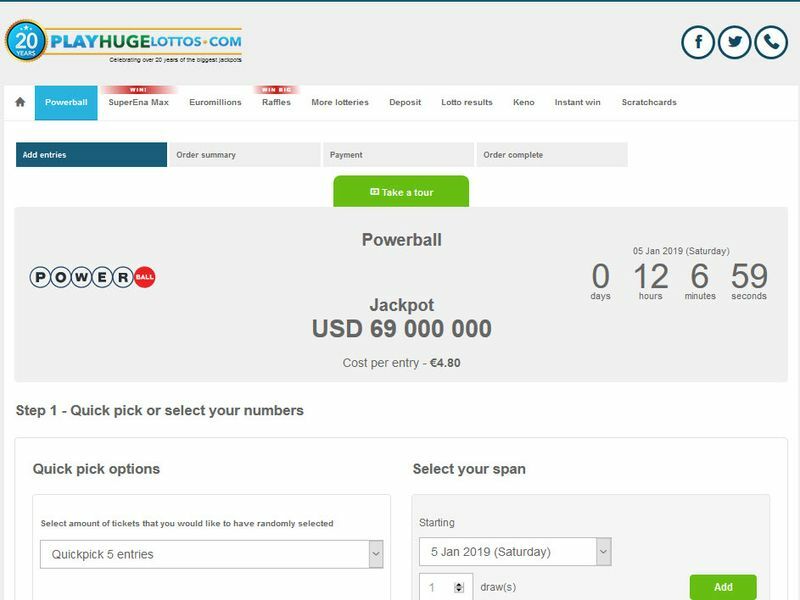 On average, PlayHugeLottos charges around 145% more for their lottery concierge service as compared to a local person buying the lottery ticket in their local country. This is a reasonable figure as most lottery agents charge around 150% more. 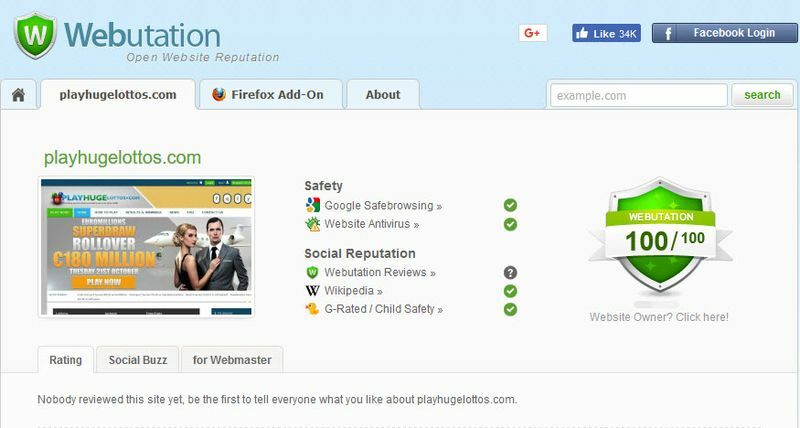 PlayHugeLottos is owned by Secure View Services Limited, a company registered in Cyprus. They have been around since 1999 and they should be trustworthy. This is also reflected in their website reputation at Webutation. What this means is that should you win, you should be able to get your winnings. 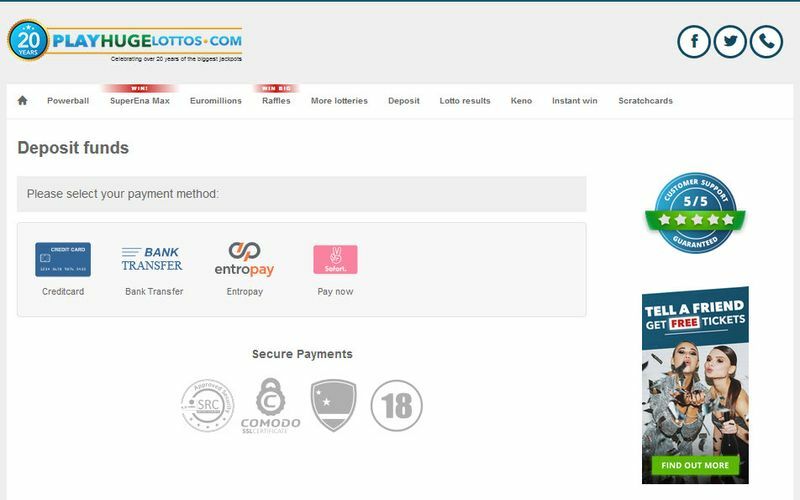 Any lottery winnings less than €12 will be credited automatically into your PlayHugeLottos account. If you win more than €12, you can request for the winnings to be credited directly into your designated bank account. We contacted their support through their online form to test their response time. We are impressed by their fast response of less than 4 hours. The customer service is great, it is always a pleasure to talk to them. Keep up the good job PlayHugeLottos!